Our in-house joinery manufacturing facility allows us to control the high quality of our bespoke joinery items. We have become a benchmark for a number of clients as to how they judge the quality of joinery work from their contractor base. Our joinery workshop, which has the latest cutting edge equipment, differentiates us from our competitors. The ability to control the quality and manufacturing lead times means that we are more responsive and can react quickly to customer demands. Marcon has a reputation for quality – and its world class work has been recognised by both its peers and its clients. 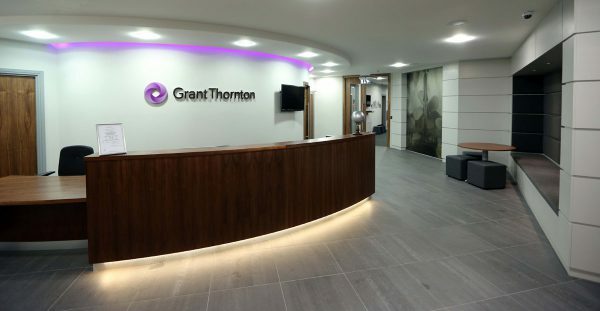 The company has received several awards at both a local and national level which demonstrates its competency to deliver expert fit-outs across a range of industry sectors. Whether it’s a multi-million pound project or a smaller bespoke fit-out, Marcon has proved it can deliver award-winning quality work that stands the test of time.